CanSORT post-doctoral scholars collaborate with our faculty on existing research projects and original projects. Several of our faculty maintain dual appointments at both the University of Michigan and the Veterans Affairs Division of Health Services Research and Development. Thus, our center is an attractive option for scholars seeking to conduct research in diverse patient populations across different healthcare delivery settings. CanSORT medical school faculty also support the mentorship of medical research fellows. Fellows have the opportunity to advance their patient care skills via hospital-based clinical mentorship alongside our faculty. 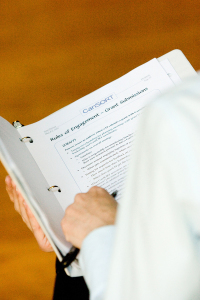 They also collaborate with CanSORT researchers to further their knowledge of research study design, survey methodology, biostatistics, comparative effectiveness research, patient-centered outcomes research, and implementation science.